The monocrystalline high efficiency SR cells are sandwiched by two patented metallic grids. The grid on the front is carefully tailored to optimize the current harvesting, while the one behind the cell offers strong mechanical support. The grids essentially form a double shield that acts as a conducting reinforcement to the solar cell. Extreme crack and bend tolerance are built in, enabling novel crystalline silicon architectures. 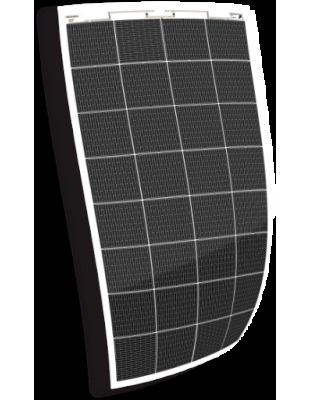 A guaranty of high efficiency and unmatched durability in flexible solar panels.